It was late in the day on April 20, 1979, and U.S. President Jimmy Carter was enjoying a needed break from the pressures of the presidency. While vacationing at his farm in Plains, Georgia, he decided to take in some fishing and relax. Solo, he pushed off in a canoe onto a pond that was on his property. Swamp rabbits swim in the waters of the Southern United States. They are also incredibly fast runners, reaching speeds of up to 45 m.p.h., running in a zigzag pattern to escape enemies. 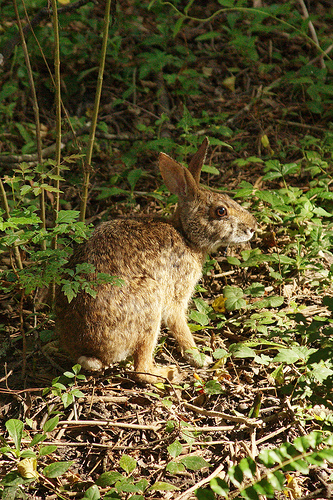 Although they weigh generally between 4-6 lbs., some swamp rabbits are reported to weigh as much as ten pounds. Something was clearly wrong with this particular swamp rabbit. It made strange hissing noises, flared its nostrils, and gnashed its teeth. Not only that, but it soon became alarmingly clear to Carter that the wet and angry animal was determined to climb inside the boat with him! Carter, in great distress, used his oars to shoo the obviously deranged animal away from the boat, splashing water at it. The animal eventually was deterred from climbing in with the president and swam away. Meanwhile, a White House staffer on shore snapped a photograph. 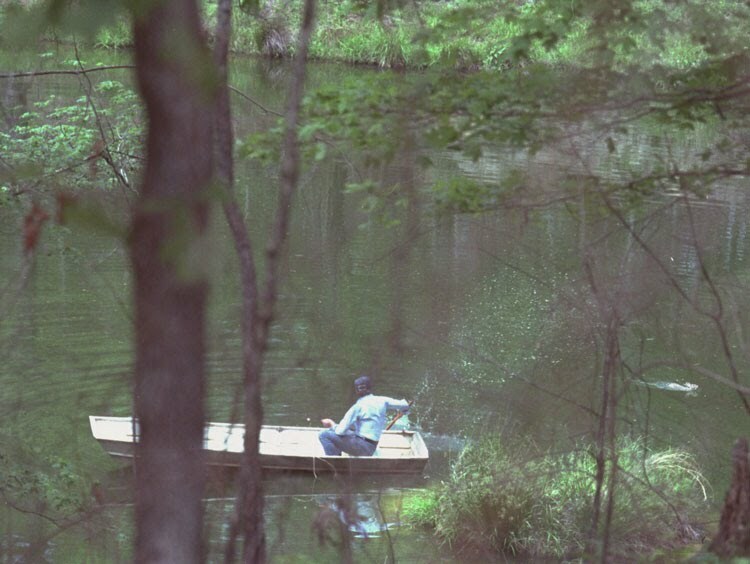 President Jimmy Carter is photographed fishing on a pond on his farm in Plains, Georgia, on April 20, 1979. 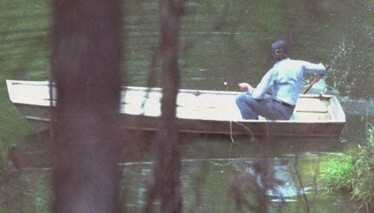 In the far right corner, there is a ripple of water indicating a swamp rabbit swimming away from the President's canoe. When Carter returned to the White House, he shared his story with a number of his aides, some of whom refused to believe that swimming rabbits exist. Carter ordered a print of the image and also an enlargement to prove his tale. The New York Times reported that the President beat back the rabbit with his oars. It became the president’s nightmare. For a full week, Carter had to explain his behavior at town hall meetings, press conferences, and meetings with editors. Carter repeatedly stated that he had not used his oars to beat the animal, but to splash water at him to back away. A cartoon spoofs President Jimmy Carter fighting off a killer rabbit. READERS: For more on Jimmy Carter, click here. Anyone who doubted carter at the time obviously hadn’t seen “Watership Down”. Yeah, Carter’s defeat was all about the bunny. The moribund economy, and the American Hostages in Iran (held for more than 440 days with no response from the United States*) had nothing to do with it. Yup – it was the bunny. *There was a bungled rescue attempt widely believed to have been bungled because it was micro-managed in real time by Jimmy Carter personally giving instructions from the White House.